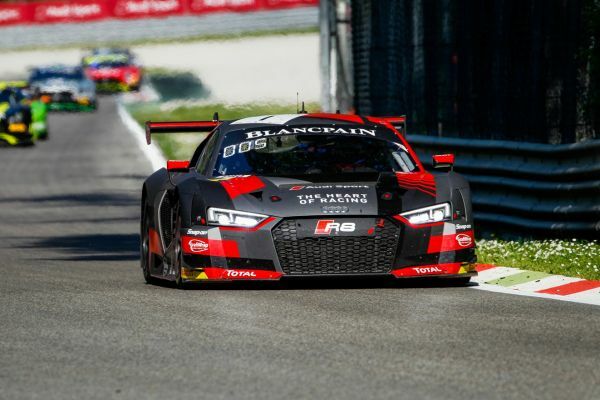 “What a fabulous race”: that was the unanimous comment among observers and fans today at Monza, after a thrilling season-opener of the 2018 Blancpain Endurance Cup, which ended with a superb success for the Belgian Audi Club Team WRT Audi R8 LMS of Christopher Mies, Álex Riberas and Dries Vanthoor. 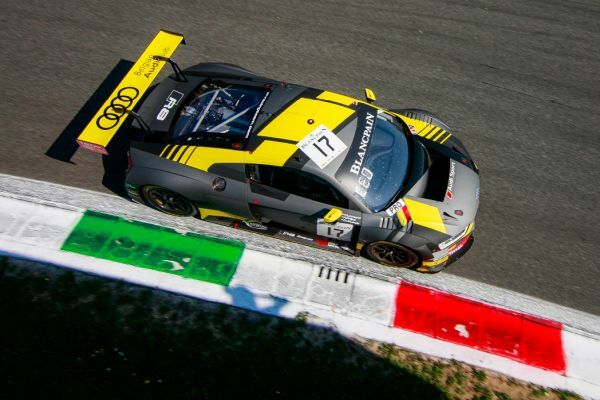 For the Belgian squad, it’s the first win on the legendary Italian temple of speed, certainly not the track most favorable to the R8s, and the first win in the Endurance Cup since Nürburgring 2014. 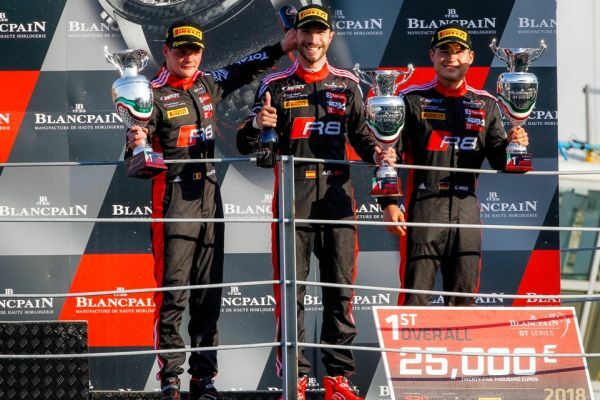 Still, thanks to perfect strategy and a flat-out performance by the three drivers, the #1 car was always in the top-5 throughout the 3-hour race and Dries Vanthoor could grasp the lead less than half-hour from the end, in a heart-breaking final duel with one of the Mercedes. The perfect day was rounded by a similarly great performance of the #17 car in the hands of Stuart Leonard, Sheldon van der Linde and Robin Frijns, which took an excellent P7 despite a drive-through. Team Principal Vincent Vosse could not hide his joy after the race: “It’s just fabulous! To win at Monza is just incredible and I am really very happy for the whole team and very proud of the job everybody has done. Everything worked out perfectly and the drivers did a fantastic job. Yesterday, after the practice sessions, I had the feeling that we could do something nice, and we did it! Free practice and pre-qualifying, as expected, showed how competitive on the Italian track are the cars with more power, with the Audis ‘travelling’ in mid-grid positions, but it was the start of a strategy put in place by the Belgian outfit which paid its dividends on Sunday. Things though were completely different in qualifying on Sunday morning. The Endurance Cup was inaugurating a new qualifying format, with grid positions being determined by the average time of the fastest lap of each driver in the car. The exercise proved positive for the Belgian Audi Club Team WRT, as car #1 managed to take P3 (with Dries Vanthoor being the fastest on track in his session) and car #17 clinched P16. With glorious weather, the start was almost incident-less despite the 53 cars in action: Christopher Mies, in car #1, kept fifth position behind the fastest cars, while Stuart Leonard, in car #17, with a great performance climbed up to P13 in the initial laps. Things remained pretty stable throughout the first race hour, with the two Audis of the Belgian squad pitting relatively early (car #17 before car #1), which proved a wise decision, as Álex Riberas was 4th after all changes, battling in a lively group, and Sheldon van der Linde made it up to P10. Unfortunately, the black-and-yellow R8 was inflicted a drive-through for breaching the minimum pit-stop time, which put the South- African down in P16. Riberas had a lively stint, both attacking and defending what was eventually P4 at the end of the second hour. For van der Linde, it was a catch-up exercise, bringing the car in P11 to the second pit stop, again an early one. The final hour started with Dries Vanthoor in P4 only a few seconds behind the leader, with Robin Frijns in P10. As foreseeable, given that victory was becoming possible, Vanthoor put an incredible show of speed and bravery, passing a Ferrari and a Lambo and catching the leading Mercedes of Götz around the 2.5-hour mark. In his way to the top, Dries beat four times the fastest lap of the race! In lap 79, the young Belgian took the lead passing his rival on the straight, close to the wall. The satisfaction was to be short-lived, as car #1 was summoned by the stewards to give back the position, having passed its rival beyond the right line, only to have … a similar decision taken against Götz for having pressed Vanthoor almost out of the track at the first chicane one lap later! Suspense was at its climax as Vanthoor retook the lead, but the end of the race was going to be quieter, with the Belgian controlling events and even managing to pull sufficiently away. It was an intense stint for Frijns too, climbing up positions up to a final P7. The next round of the Endurance Cup will be another great among the greatest, Silverstone, on 18-20 May. In the meantime, the Blancpain GT community will convene at another British legendary tracks, Brands Hatch, for the second round of the Sprint Cup, on 5-6 May.